OTT communication apps put sophisticated phone features at your fingertips at a fraction of the cost of traditional business phone systems – making them a simple phone solution for all businesses, from one-man startups to enterprise level corporations! What’s more is that OTT communication apps are available right on the smartphones you and your team members already own. Just download and the set-up is a breeze. With team members in the office, down the road and across the globe, you need a reliable way to stay connected that doesn’t cost you a fortune. OTT communication can keep everyone, from on-call employees to a team member in a different time zone, in the loop with worldwide calls and texts – all for free or at really low rates. Plus, OTT communication also puts calling features necessary for a successful business at your fingertips – call forwarding, voicemail transcription, conference calls, and a few more that will set you apart from the competition -- for free or at a very low cost. In today’s world, where employees are always on the go, landlines are no longer cutting it when it comes to effective business communications. If your team members aren’t around the office to hear messages from colleagues or clients right when they are received, time can be wasted and negatively affect response time – reflecting poorly on your entire company. With OTT communication, every voicemail, fax, and text message is received instantaneously and can also be recorded and saved for later playback. Plus, with voicemail transcription, tapping into messages is easier than ever. These features offer team members the convenience of listening in and responding no matter where they are, as well as the peace of mind that messages aren’t going unheard on a landline voicemail box. 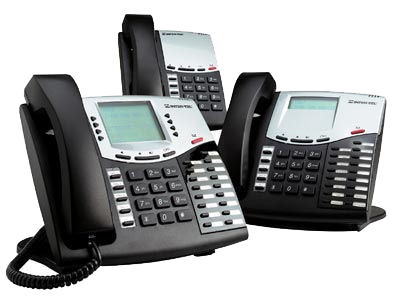 Not only do traditional business phone systems cost a significant amount to maintain, they also come with costly set-up fees. Transitioning to OTT communications can help you save by eliminating your upfront investment and lowering monthly costs, leaving more cash for other important business developments… like holiday office parties and K-cups! If you employ in-house, mobile and remote workers in your company, chances are there have been one or two communication flops when relying solely on a traditional business phone system. To free your employees from returning to a desk every time they want to connect with colleague, you need to make the switch to OTT communications. With a convenient mobile OTT communication app, no longer will messages go unnoticed, calls be missed or client call notices hanging on a post-it on a traveling employee's deck – allowing team members to focus on productivity rather than wasting time trying to track one another other down. Many business owners need more than one phone line - say one for personal and one for business use – but thanks to OTT communication apps there’s no need to pay for two separate mobile plans. With an OTT communications service, you can sign up for a free phone number and route it directly to your mobile. Not only will this save you money, but you'll also have the added benefit of just keeping track of one device. Did you answer yes to any of these problems? If so, it’s a sure sign your current business phone system is more of a hindrance to your team’s communications than an advantage. The truth is, by adding a better, feature-rich OTT communication app you can set your team up for success and increased productivity – a win for customers, employees and your bottom-line. The evidence is clear. It’s time for your company to move on to a more convenient, cost effective and feature-rich business phone option like OTT communications. Now, tell us why your company is making the switch to an OTT communication service today. Connect with us in the comments below or on social media – Twitter and Facebook.